We now have a spring ONLINE registration option! CLICK HERE, or attend our OPEN HOUSE on Wednesday, March 6th! See below. 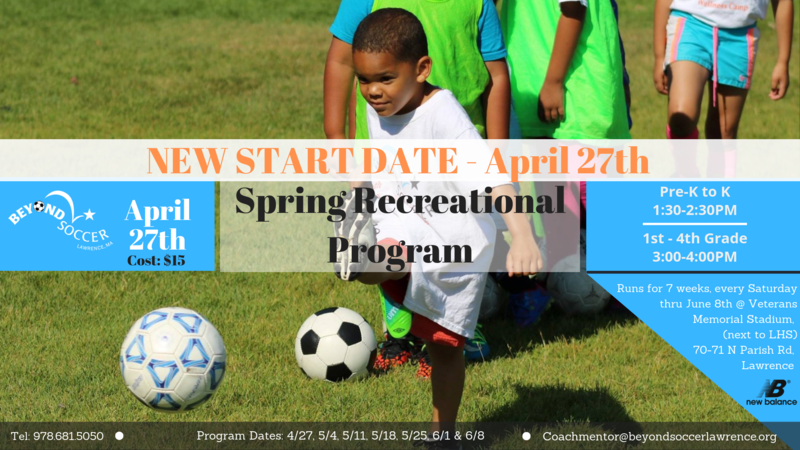 This 7-week spring & fall program is in its 8th year, and has already connected 1,500 Lawrence elementary school students, ages 4-10. This program is all about FUN & FUN-DAMENTALS. We want to give kids, and their families, a positive introduction to youth sports. We also want to encourage kids to adopt healthier, active lifestyles, and fill a community need for quality and affordable after school sports experiences for kids. Some of our past and present partners include New Balance, Greater Lawrence Technical School, Commonwealth Motors, Seacoast, Tufts Floating Children’s Hospital, American Heart Association, Lawrence General Hospital, Benfica, GPS and local high school programs for volunteer coaching support, like Masconomet Regional and Lawrence H.S. This Fall the program will run @ Lawrence Veterans Memorial Stadium, on Parish Road, next to Lawrence High School. Pre-K & K will meet from 1:30-2:30 and 1st – 4th Grade from 3:00-4:00pm. 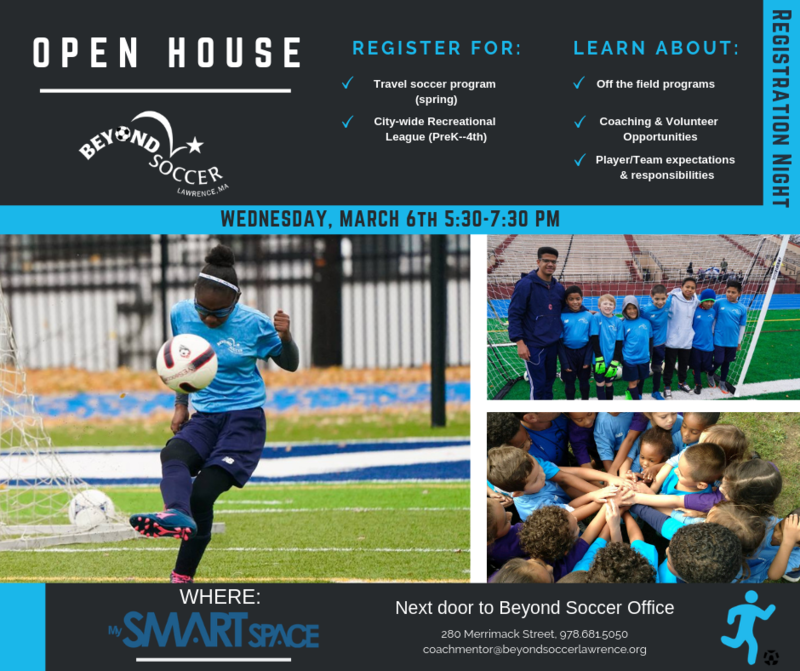 Lastly, we will also host a Registration Night on Monday, August 27th from 5:30-7:30pm @ MySmartSpace, located next door to Beyond Soccer Offices 280 Merrimack Street 3rd Floor Lawrence, MA.